Irregular naps are very typical for a 1-6 month old baby. Know how to offer enough nap opportunity at the right moments to help your little one make it through the day well-rested. 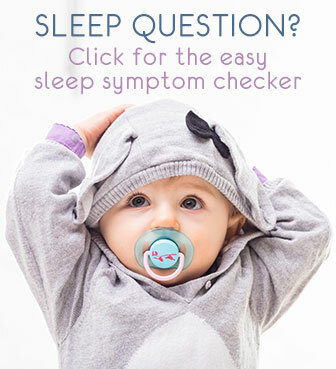 Under 6 months old, your baby may take very short, few or irregular naps, … or almost no naps at all. Her natural sleep patterns are ever-changing right now. And that means that every seemingly regular daytime schedule you think you notice, changes over again in the blink of an eye. Too few and too short naps leave your baby over-tired by the end of the day - which in turn influences the nights negatively. Not being able to count on regular naps can make it difficult for you to arrange your days. And you probably worry if your days will ever be predictable again …? Relax, they will. And your baby will make it through the day well-rested and content. The more you manage to guide baby now, while giving enough room to her natural sleep patterns, the faster it will happen. Between 4 and 6 months you will see important changes. 6 months is the magical age when many babies tend to get – and need – regular (timed) naps. It's important for you to provide nap opportunities at the right moments, not according to a standard fixed schedule but exactly at the moments that are right for YOUR baby. To be able to nap well, naps must be at the right moments, i.e. moments at which your baby can sleep (physically) and is prepared for it (mentally). These moments can be based on a strictly timed schedule or on a pattern routine (eat-sleep-play or eat-play-sleep). It all depends on what is right for your baby (health, personality, physical ability, maturity, ...). My Nap in a Snap book is a 3-step program that helps you discover exactly what's right: the type of routine that fits best and how to implement it (more info here). At any time you'll need to offer enough nap opportunities, even if she does not actually sleep decently. Creating nap opportunities means you put baby down several times a day. Count also: a chance to sleep in a baby carrier, stroller or car seat. As long as she does not easily self soothe for naps yet, naps on the move help build the habit of daytime sleep - see the baby sling trick page for more on this. 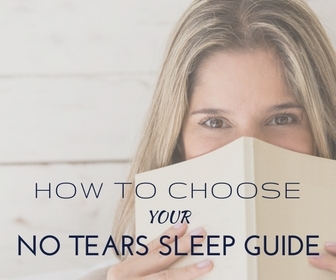 This is a very valuable tool to help avoid over-tiredness - which worsens night time sleep. Gently offering these recognizable quiet moments from early on and all through the first half year helps establish a true regular daytime rhythm towards 6 months old.